For social workers, counsellors, health professionals, teachers, managers, carers and parents—self-care is critical. Despite our resilience, working with others who are facing significant difficulties can take a toll. Unless human service organisations actively support self-care, then sick days and staff turnover can escalate. 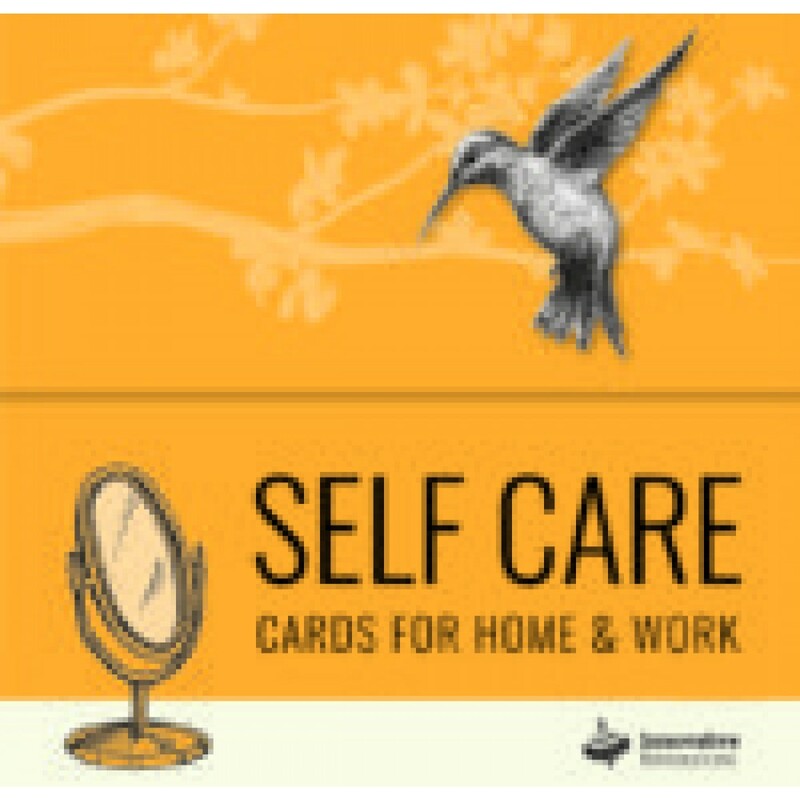 With 50 beautifully-illustrated cards and 100 thought-provoking questions, this resource is designed to put self-care on the agenda in supervision, teams, planning, policies and procedures at work, and in our personal lives at home. Pick cards for common self-care challenges experienced in the ‘helping’ professions. Are any of these relevant for you right now? On a scale of 1—5, how you are doing with each? What have you done before that might help? What new thing could you try? Who could help? Create a self-care plan: Pick cards for where you would like to be heading and key aspects of the plan. What steps you could take today, tomorrow, next week? Which cards show things you would like your organisation/team/personal life to focus on more? This resource will spark reflection and conversation about self-care. Each card names a key theme such as habits, relationships, health, identity, balance, safety, support—and includes two questions to help get the conversation started.